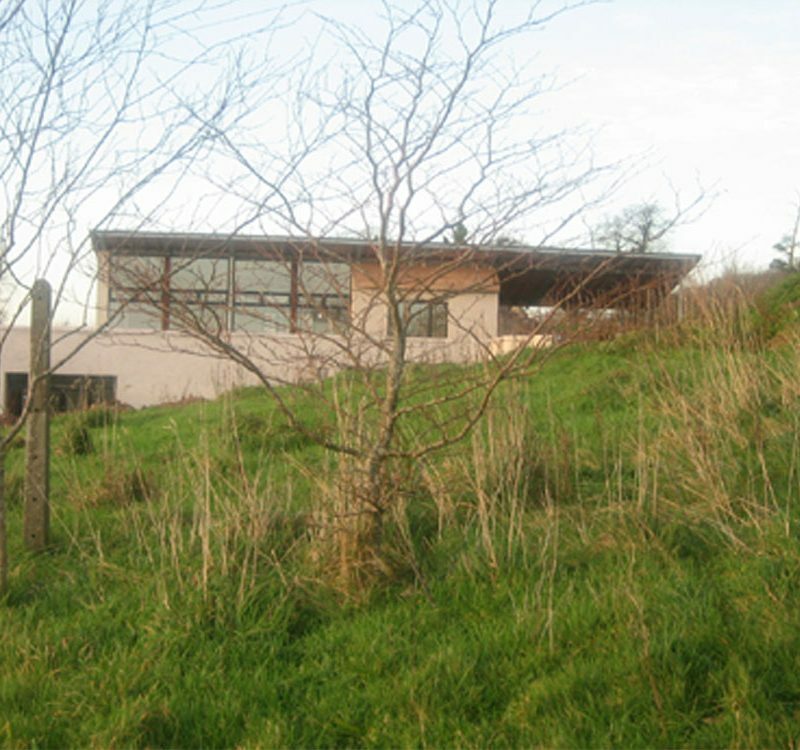 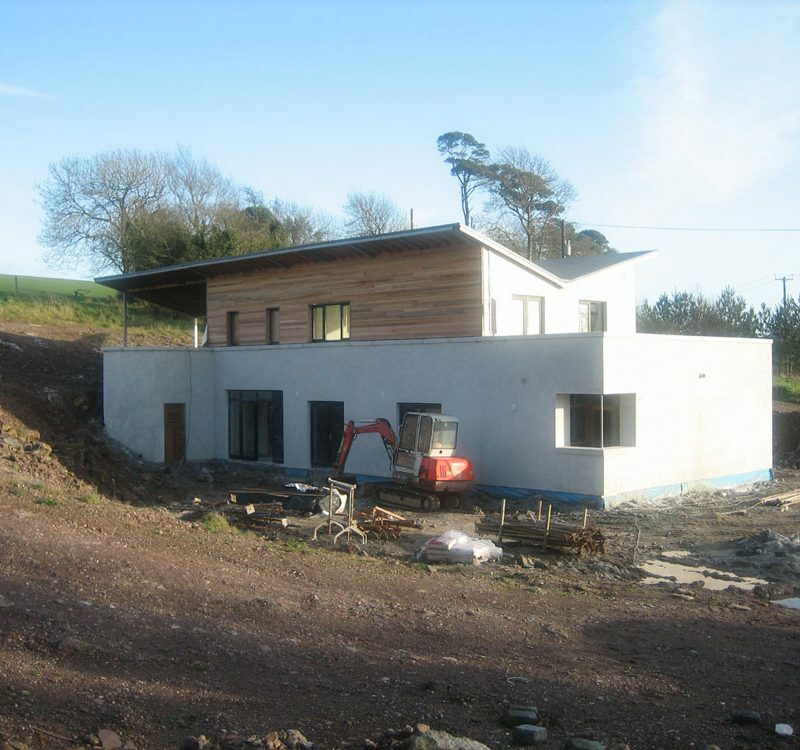 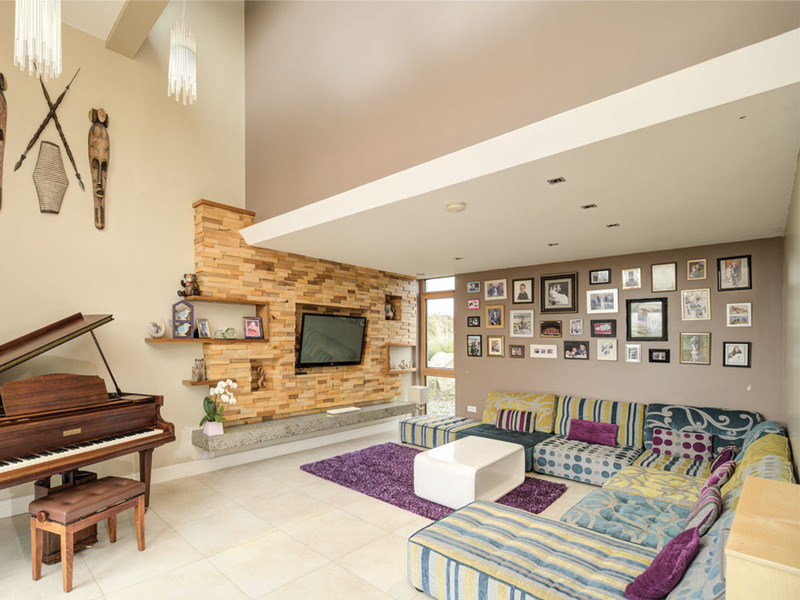 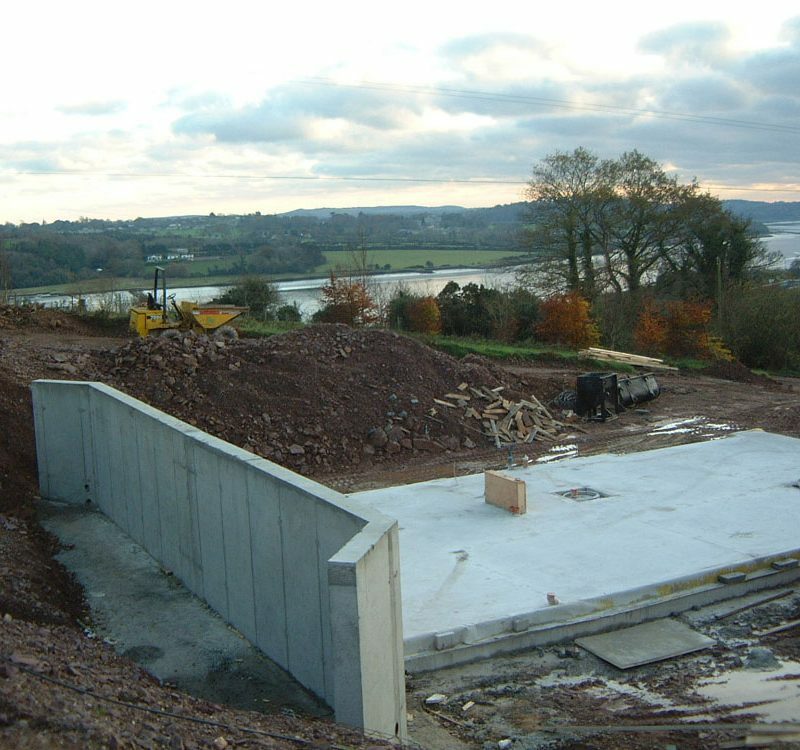 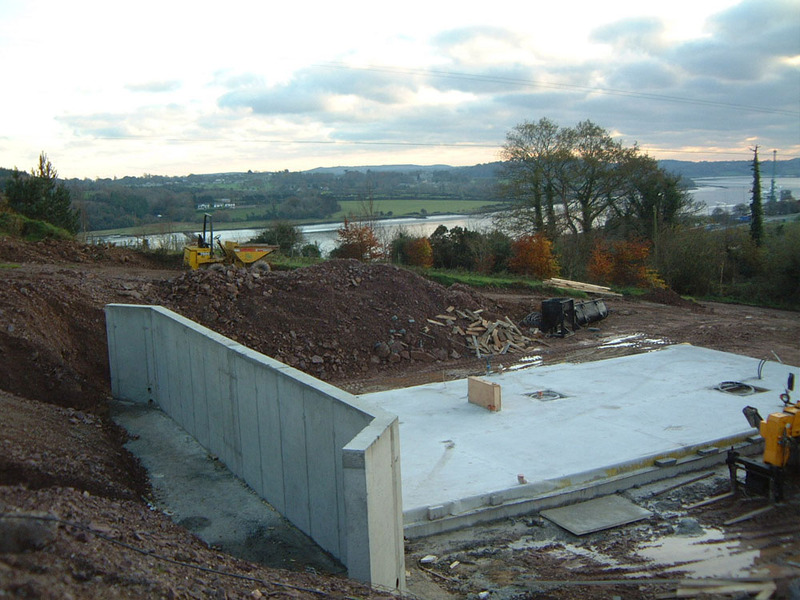 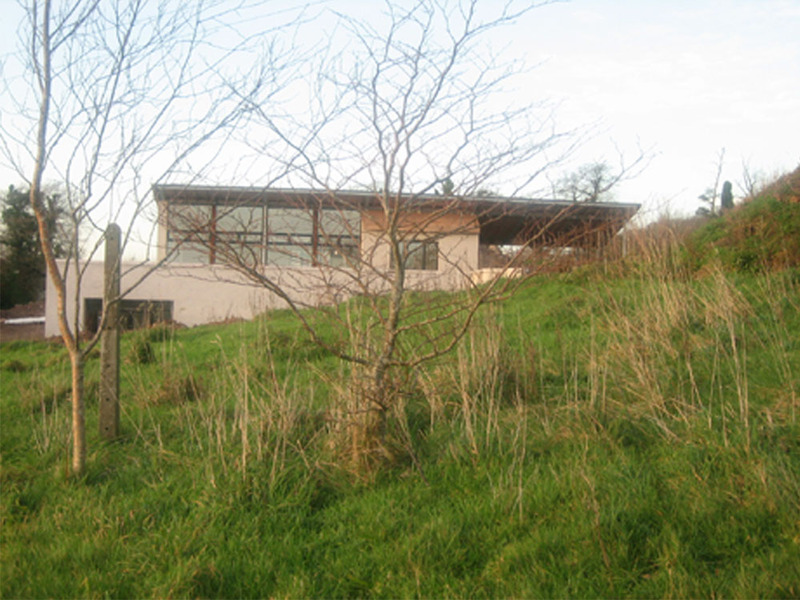 The dwelling is located on a sloped site with fantastic views of the river Suir to the south-west. 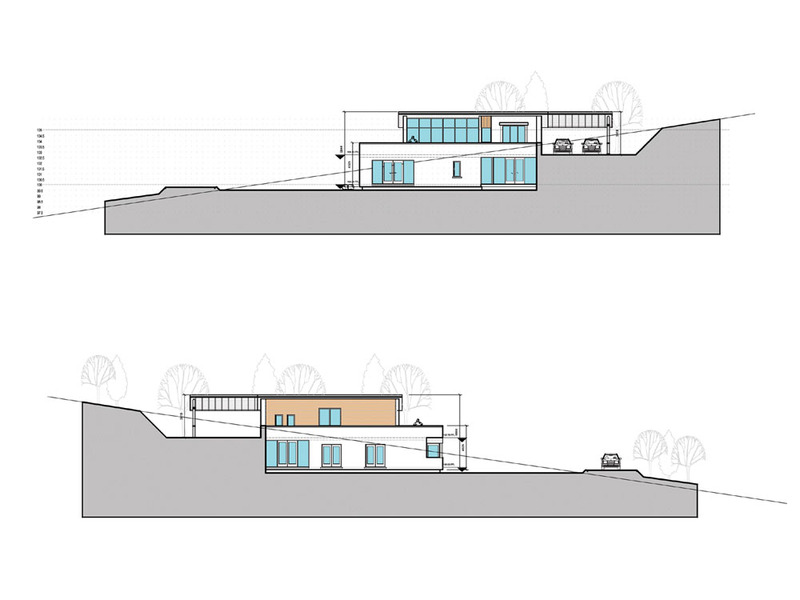 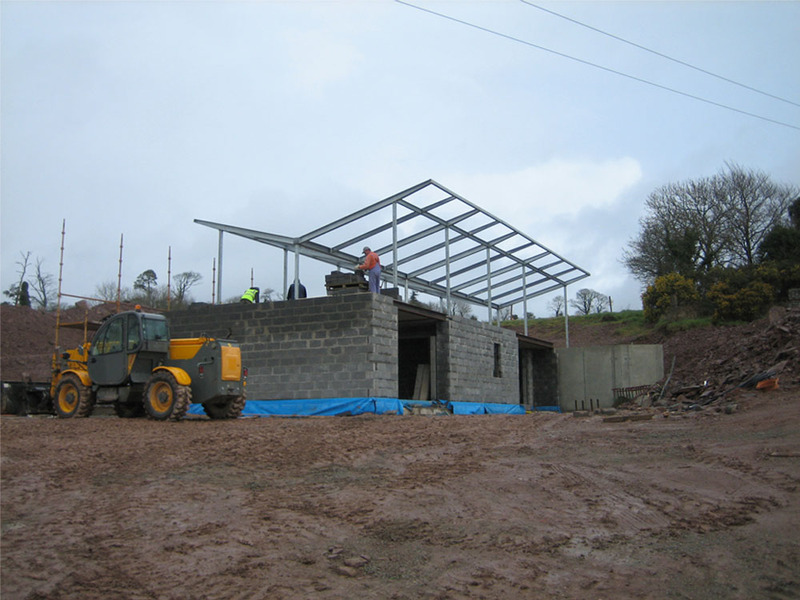 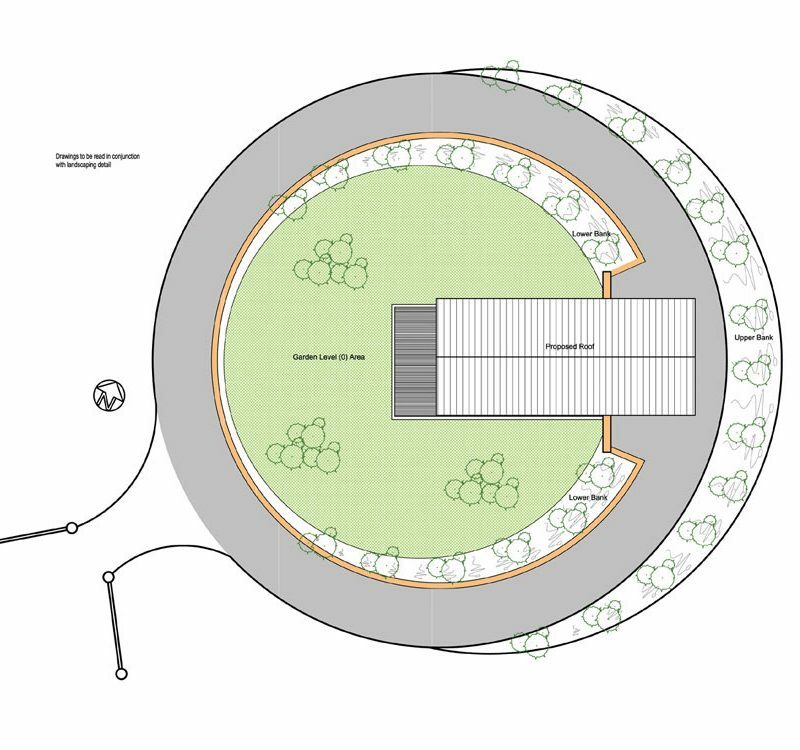 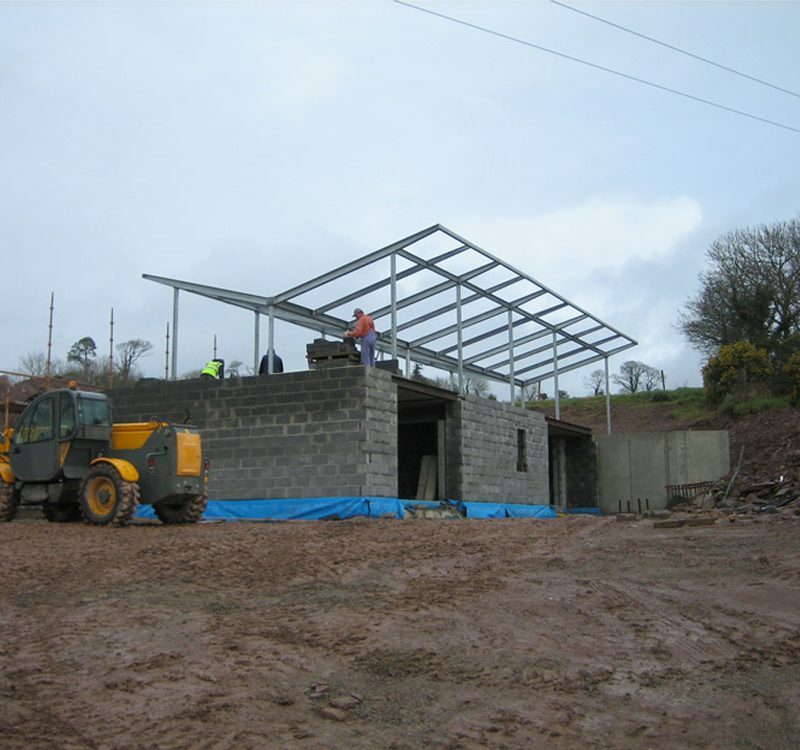 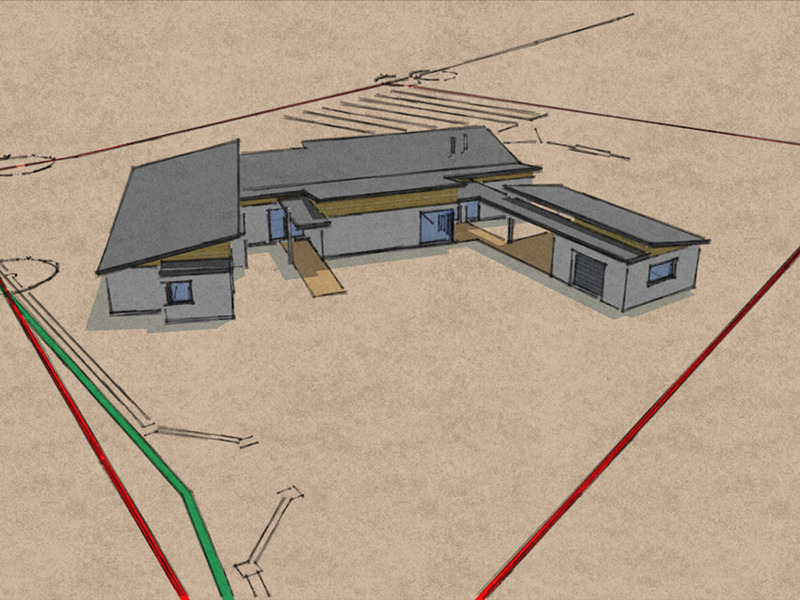 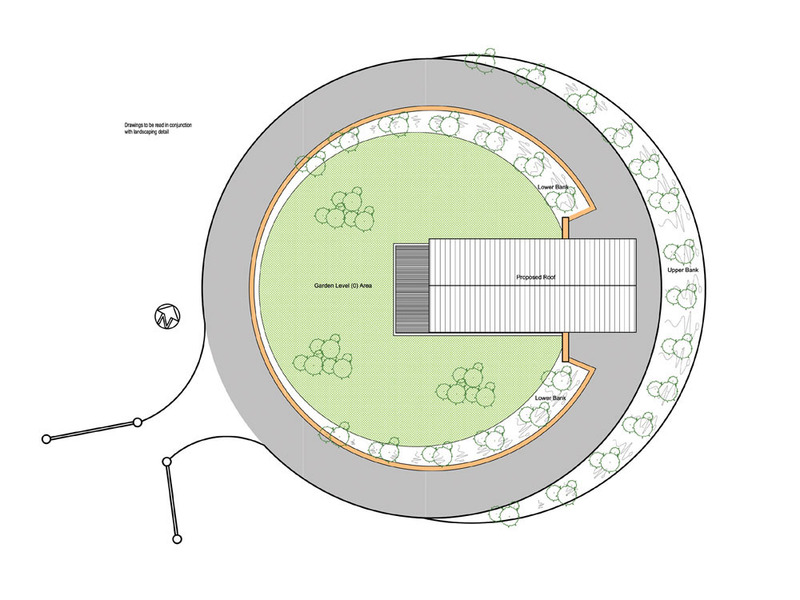 The client was keen to maximise the potential of the site. 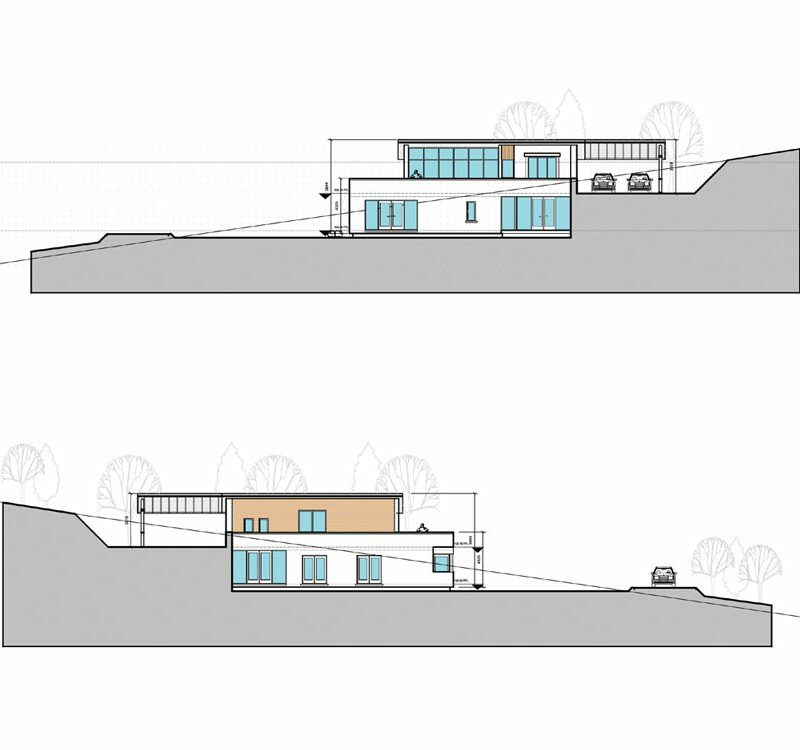 The dwelling is designing to nestle into the sloped site with living spaces on first floor & sleeping spaces on ground floor. 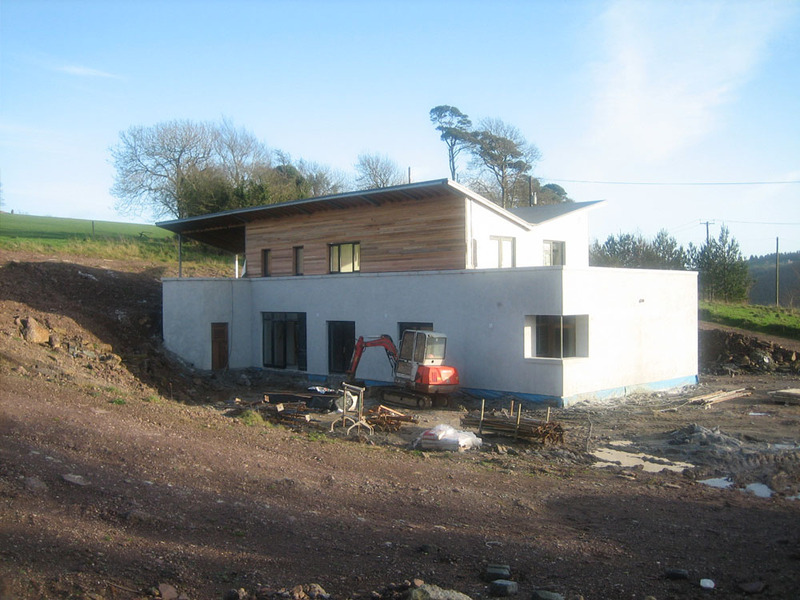 The dwelling is accessed on first floor with an open plan kitchen dining & lounge area opening out to an external deck to take advantage of the views & evening sunlight on site. 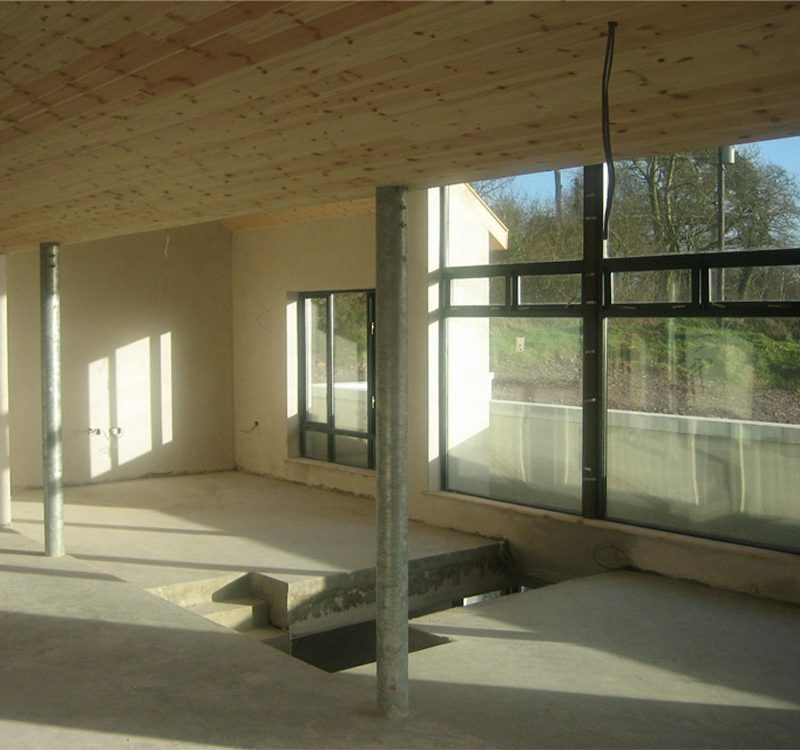 The ground floor consists of 3 no. 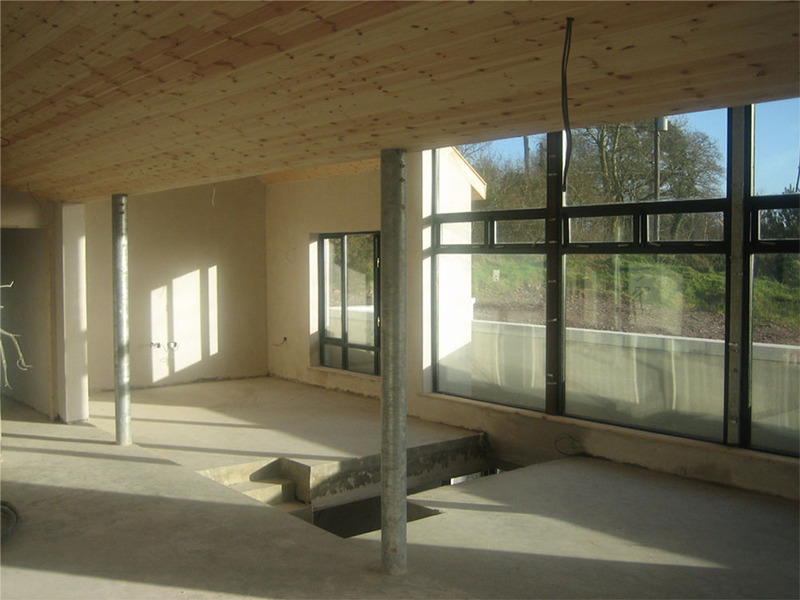 double bedrooms, each with access to private external spaces. 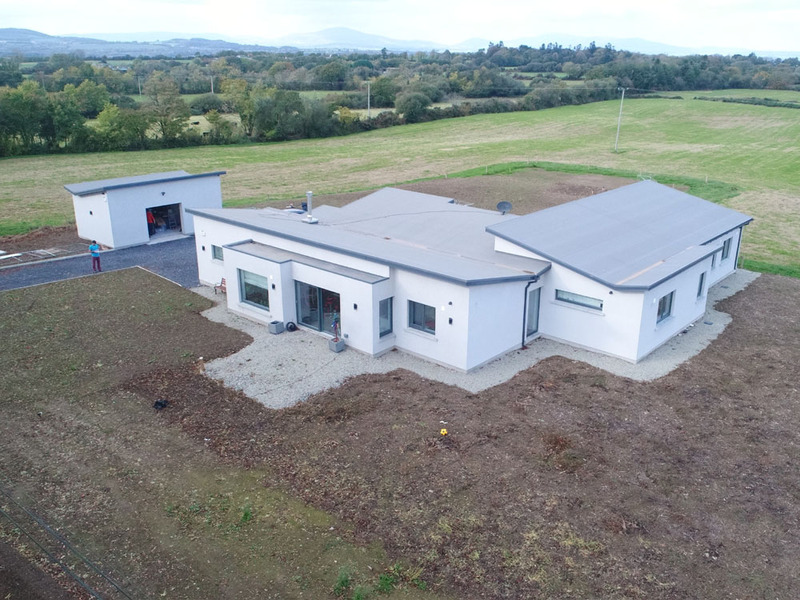 The butterfly roof & contrasting materials between first floor & ground floor create an interesting building from which immerses itself into the landscape in a subservient manner.